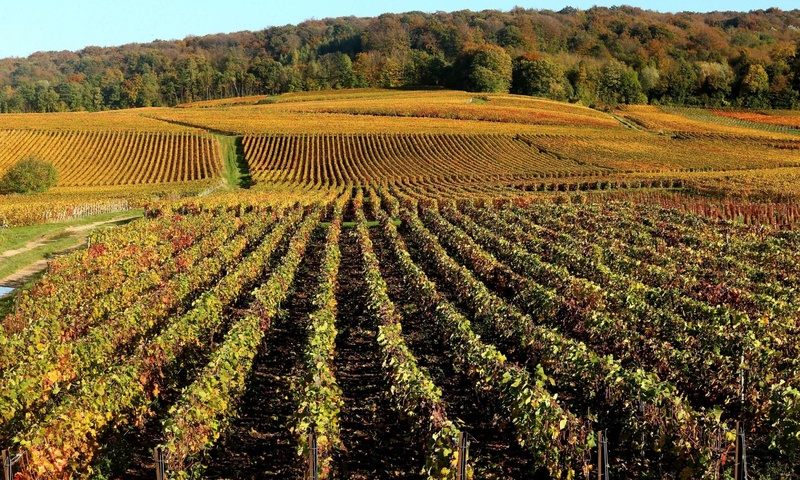 We are very saddened by the events that recently took place in Paris. 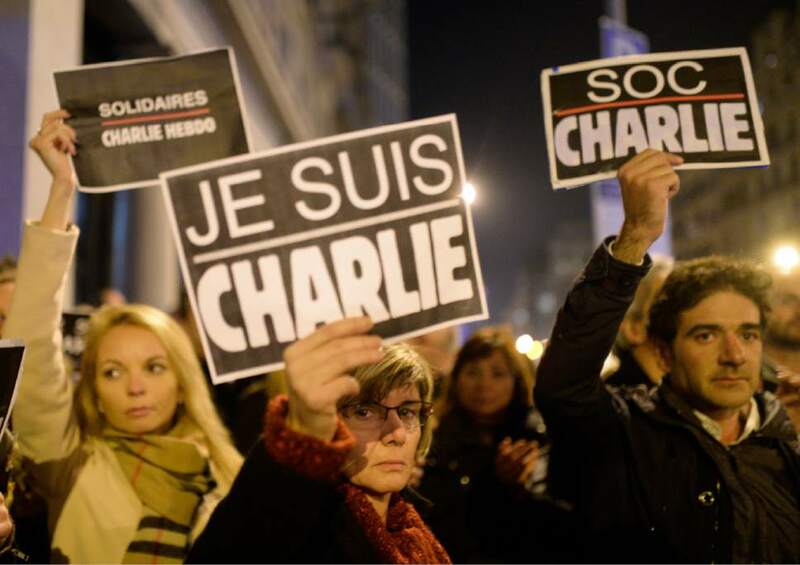 It touched France deeply, as most of us who grew up there are familiar with Charlie Hebdo. 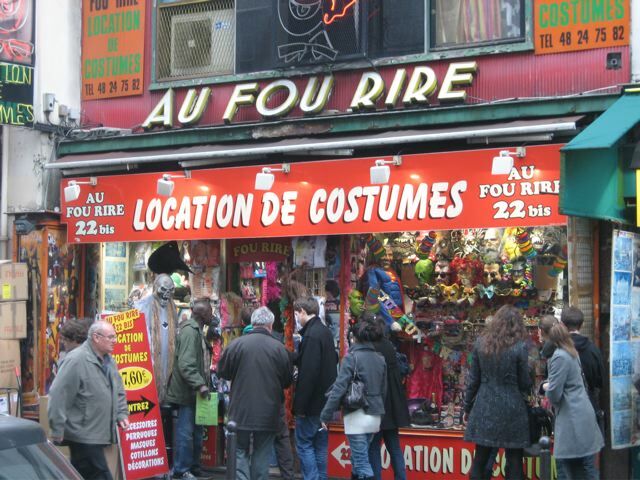 One of the victims, Cabu, has been a popular cartoonist for over 50 years, and generations of French people have been entertained by his particular brand of humor. We extend our sympathy to the families and friends of the victims, and hope this senseless act will never happen again. It was wonderful to see over three million people assemble in Paris, we wish we could have been there. We are all Charlie! 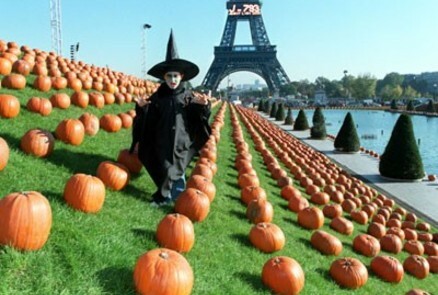 The French have their own unique, stylish ways of celebrating Halloween traditions. 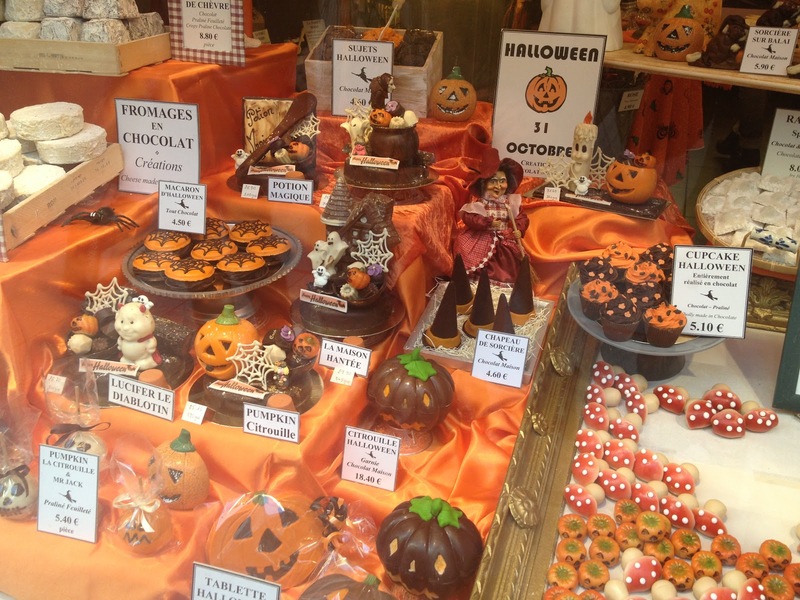 Here are some Halloween photos we found in the blogosphere from different regions of France. 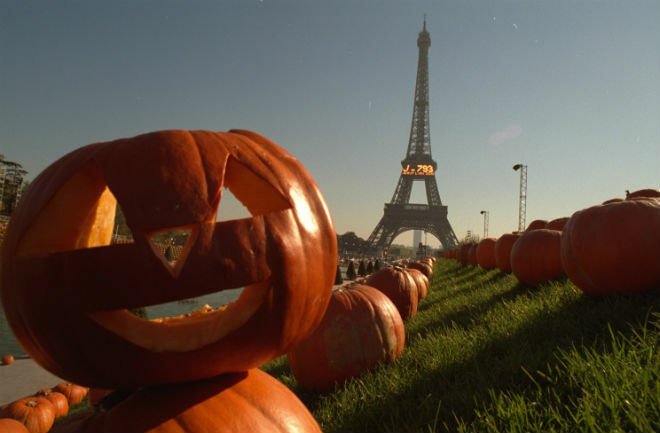 Witches’ Festivals take place in small towns all over France, inspired by the witch trials of the 16th and 17th centuries. 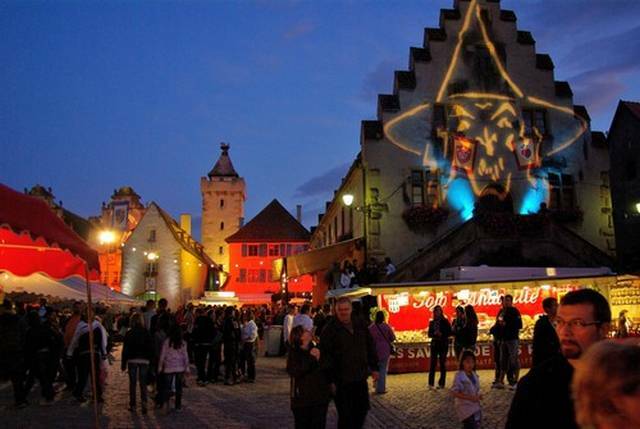 From getintravel.com. 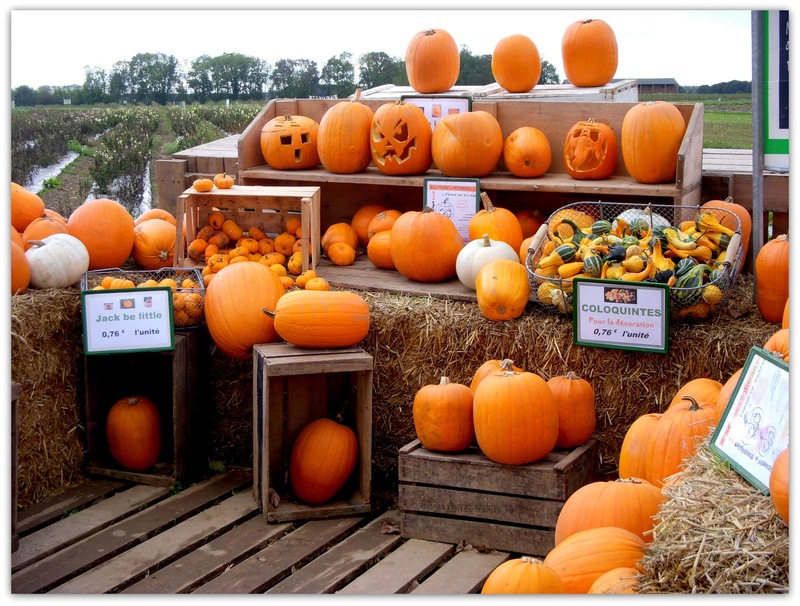 Pumpkin stand. 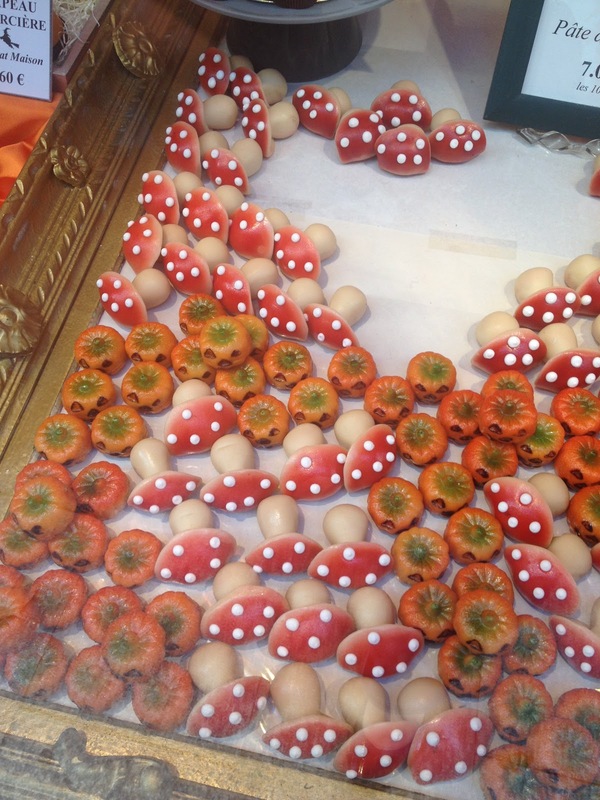 From the Busy as a Bee in Paris blog. 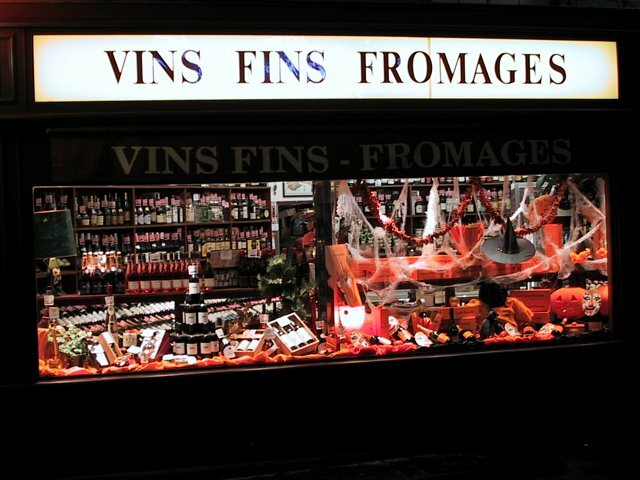 Fine wines, cheeses. (What else does one need?) From The Travelers Collection blog. 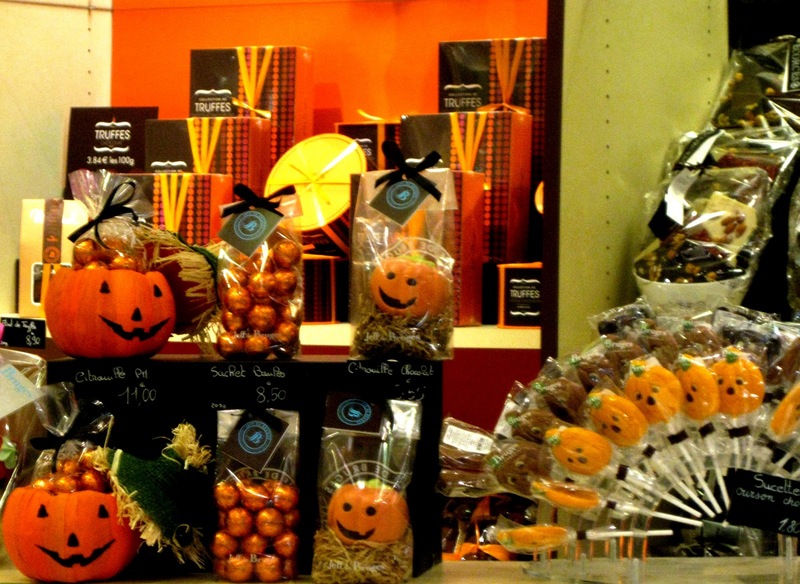 Pumpkin-shaped candies. 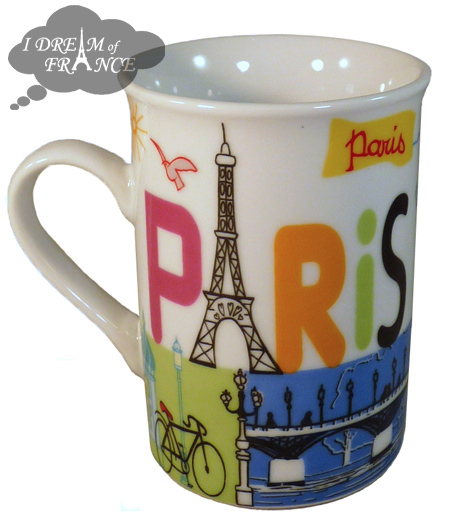 From Le Petit France. 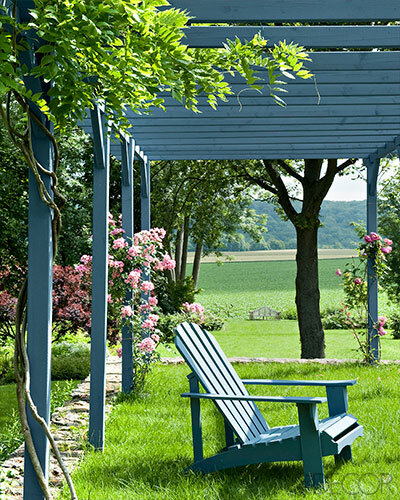 This month’s issue of Elle Decor Magazine (January/February 2014) is the International issue, republishing highlights from editions of the magazine outside the US. 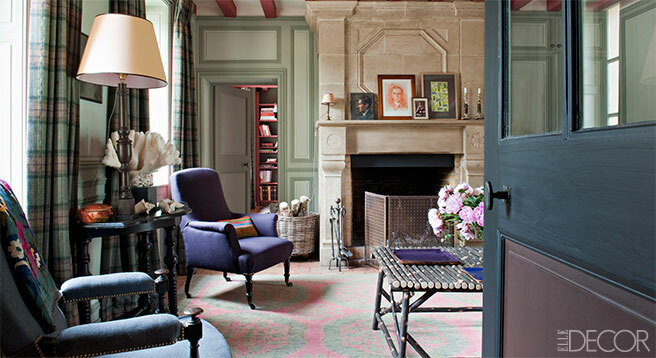 This issue is a lucky treat because it features both a French farmhouse in Normandy and an ultra-chic Paris apartment! On to the apartment. Photography By Antoine Baralhe. 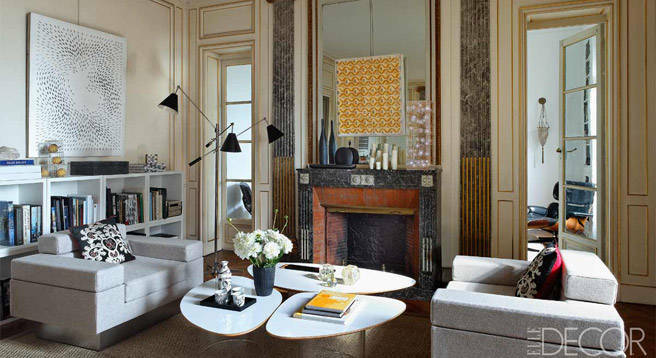 Design by Sylvie de Chirée. 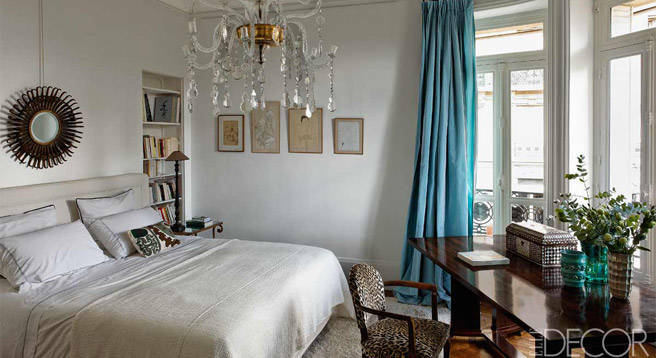 All the rooms are glamorous in gold and white, with an eclectic mix of midcentury and more traditional furnishings. 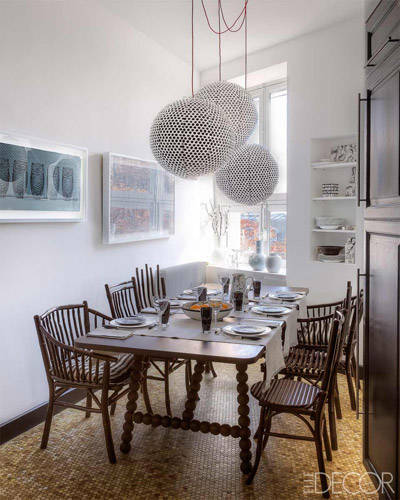 My favorite details are the paper lanterns in the kitchen and the colorful pottery in the dining room, not to mention the low bookcase in the living room. First up is the Normandy Farmhouse. Photography by Nicolas Mathéus. Design by Franz Potisek. 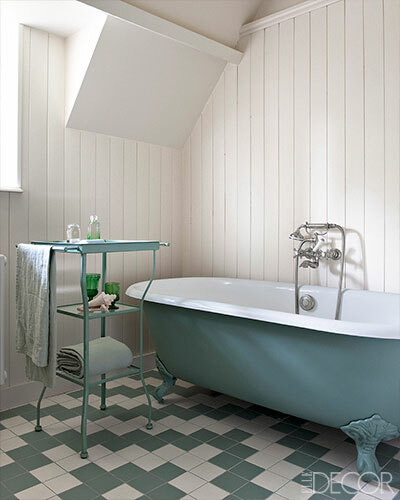 Love the classic green and white color combination. Elegant and earthy. Note the cooking pot and two wineglasses at the ready. 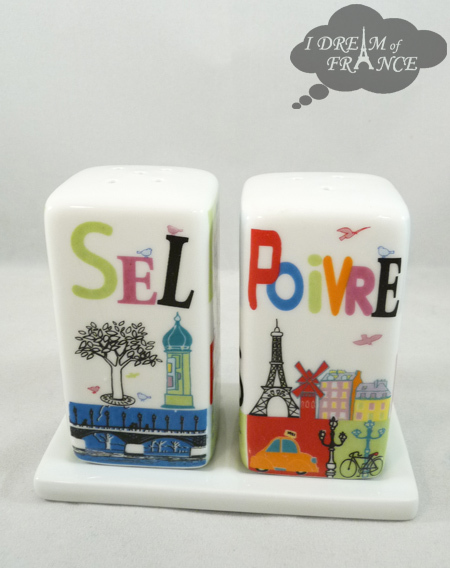 It is a French home after all! 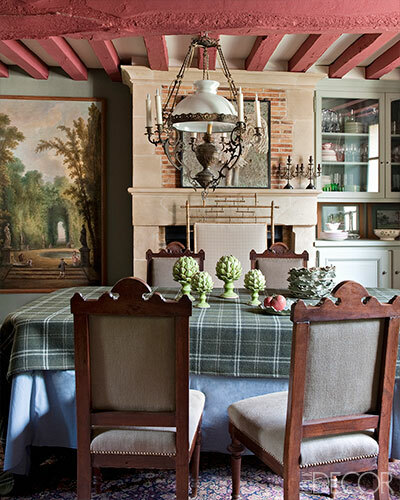 Earthy gives way to rustic in the dining room. Softer greens and reds, and a stone fireplace mantel and overmantel. 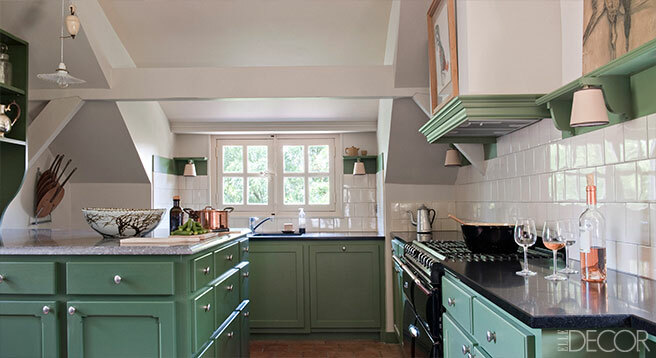 Shades of green and white recall the kitchen combination. This is equally classic and elegant. 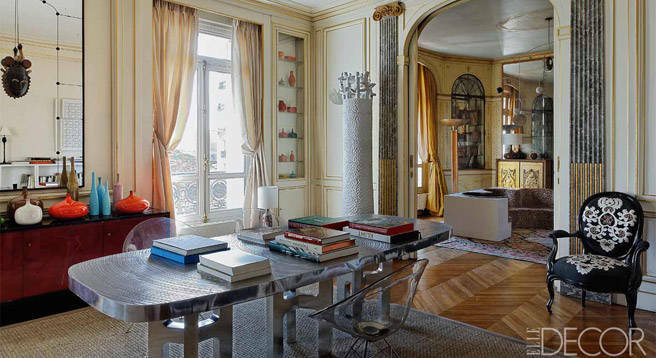 I’ll show the Paris Apartment in the next blog entry. Today is Epiphany, the last of the Christmas holidays. In France, the tradition is to bake a Galletes des Rois, or Kings’ Cake. Inside you hide a little doll, a coin, or a bean as a good luck token. The French Kings’ Cake is a puff pastry with frangipani filling, different from the American King Cake served in New Orleans for Mardi Gras. There are recipes all over the web, so take your pick and give it a try! The Kings’ Cake is served with a gold paper crown, and whoever gets the good luck charm wears the crown. The winner also has to buy the next cake. P.S. If you have any tips for baking with a bean hidden inside, let me know. When I’ve tried it, the bean sort of dissolved into the cake. We couldn’t find it!